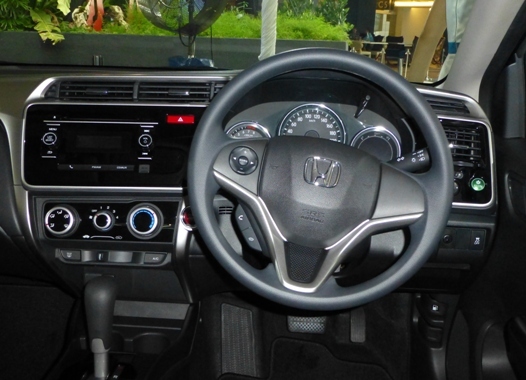 The City, Honda's most popular and most successful and popular model in ASEAN is now into its 4th generation. The Honda Malaysia launch of this model was last thursday, March 20th 2014, just a few months after its premier in ASEAN in Thailand. The 4G City is launched in 4 different variants by Honda Malaysia which differs only in features and fittings and of course price level. 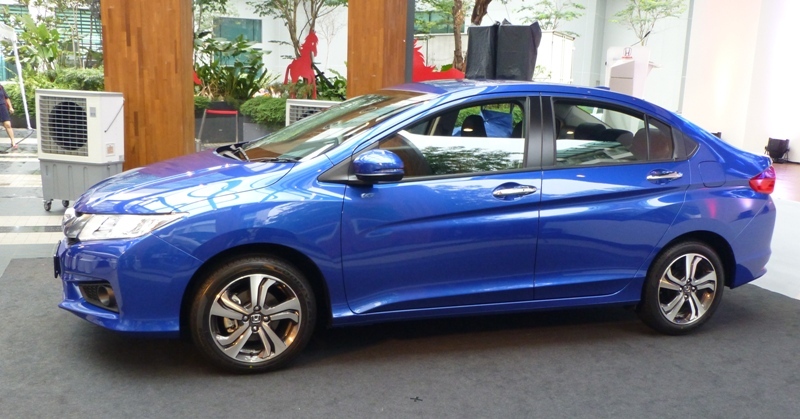 In an effort to cover as wide a market segment as possible, Honda Malaysia priced the City variants from a new record low price of around RM75,000, almost as low as the original 2G City i-DSI launched over a decade ago, to just over RM90,000 which is amazingly lower than the price of the top variant of the outgoing 3G. To avoid an overly complicated article, we look at all the features as a whole instead of trying to segregate features according to variants. So bear in mind that some features are only available in the higher variants. Design-wise, the front of the 4G City is unmistakenly carried over from the 3G though the louvred front grill is changed to a different design with a large 'moustache' which Honda calls the 'exciting H design'. The rest of the car is again similar to the 3G but with more curvy lines, except for the rear which is now more squarish. The tail-lights are also changed though it now looks a bit ungainly to me. Wheel sizes are unchanged at 15" for the lower variants and 16" for the top variants. But the overall shape and design is unmistakenly a refinement from the 3G City. Which is a good thing given how popular the 3G was. The cabin is still a black-based colour scheme. However, in all the cars on display at the launch event, I can see the unusual light biege panel behind the rear seat. This is one item which seems to be out of place to my eyes as the rest of the cabin is dominated by darker colours. 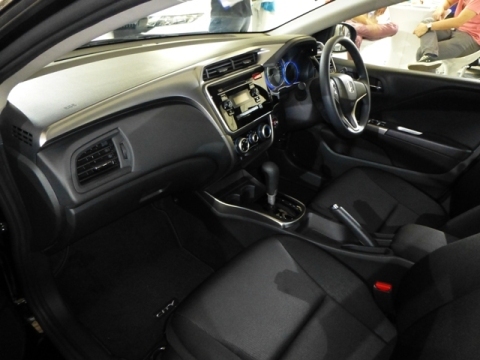 The rear seats continues to be 60-40 split and the dashboard has a more modern lines and in the top variant, is dominated by the large 7inch screen of the sound system. Steering wheel spots the audio control on the left and on variants so-equipped, the cruise control cluster on the right. 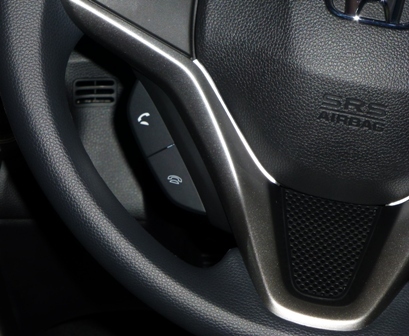 Perhaps of significance to the enthusiast is that there is now no more paddle shifters, this new 4G City do not offer the manual sequential shift option. 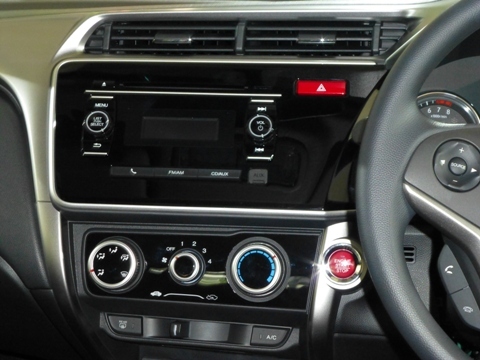 Attached to the bottom spoke of the 3-spoke steering wheel is the panel of buttons for the handsfree phone control, integrated into the audio system. The top variant even has voice recognition control. This is an astonishing feature for a car in the City segment. 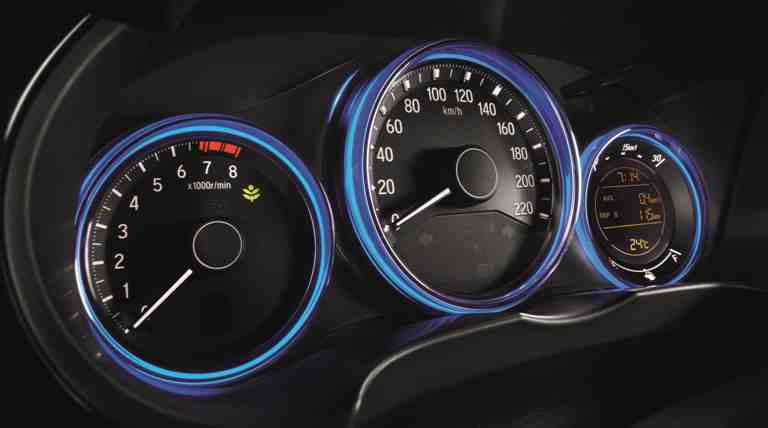 The instrument cluster continues to spot the standard 3 meters side-by-side arrangement with the tacho on the left and the speedo in the center. But the info-screen that was at the bottom of the speedo in the 3G is now moved to the right most meter where the fuel level guage is. The instantaneous fuel consumption readout is now integrated into the top of this meter as well. The dashboard material has a colour and texture that continues to make it look more upper market than typical of cars in this segment, embarassingly to my eyes, even more upmarket than that in the 9G Civic. The legendary City trunk, which have always been the largest in the market segment has been enlarged again, this time to 536litre trunk, a truly incredible size which allows the 4G City to easily keep its crown. Mechanical and technology-wise, the most significant change in this 4G City is the return of the CVT gearbox, this time without the 7-speed mode. This unit is the new upgraded Earth Dreams version, with a torque converter instead of the start-up clutch. For readers who either remembers, or have been told about the rather infamous 'CVT Start-up clutch' failures from the days of the 2G City and 1G Jazz, this new CVT gearbox do not suffer from this problem. For our in-depth article on this, please read our clarifications on the CVT and Start up clutch failures article on our TOVA Honda Fan sub-page. The engine is a bit curious. It's main feature is the ability to run Ethanol as fuel which is a big thing in Thailand where the City is designed. For Malaysia and most of ASEAN, this is not a consideration of course. It features an integrated resin intake manifold but continues to be SOHC i-VTEC and is not one of the new Earth Dreams engines. 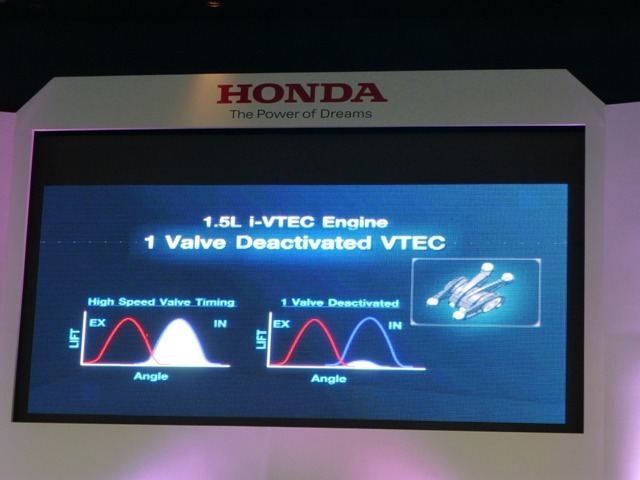 The VTEC implementation has actually reverted to the 12V-16V mechanism used in the original 1G L15A on the 2G City VTEC, what Honda calls a valve deactivation system. I.e. 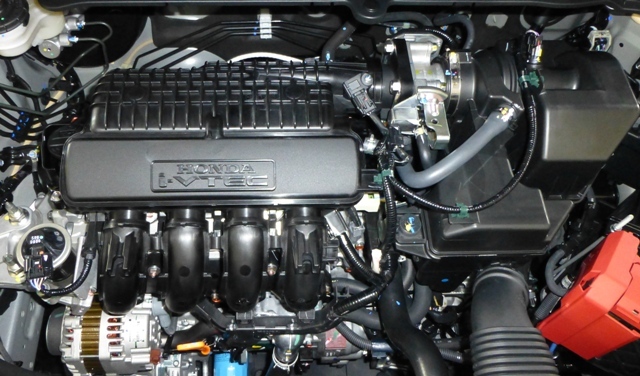 with VTEC-off, only one intake valve is working with both exhaust valve, giving 3-valves per cyliner or a 12V engine. When VTEC switches on, the pin locks both rocker arms of the two intake valves together, causing the 2nd otherwise idle valve to now work according to the cam profile of the 1st one. Now we have 2 intake and 2 exhaust valves per cylinder, giving us a 16V engine. This system was originally called 'VTEC-E' and was first used in the D15B of the 1991-1995 JDM Civic ETi. The 12V operation means an offset intake valve position in the combustion chamber and when the air-fuel intake enters the chamber, it enters in a swirl pattern. This optimises the mixture of the air-fuel and allows a more complete combustion. This same benefit should apply to this 4G City. With VTEC-on, in theory the amount of air-flow into each cylinder per intake stroke is now doubled and this means the engine can move into a 'power' configuration. The original 1G L15A VTEC gave 110ps and revs to only 6200rpm. But this 3G L15A gives 120ps, the same as the mild-hot cam VTEC implementation of the 3G City and revs the same, to 6800rpm. So the most important things which are the max power and redline are maintained. 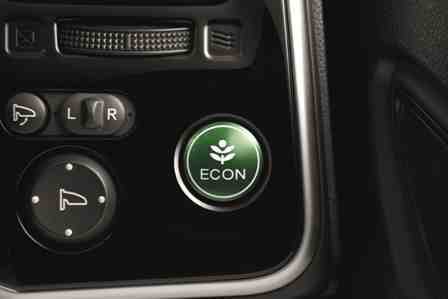 Like all new Honda models, the 4G City comes with an ECON mode activated by the standard green ECON button on the right hand side of the dashboard. When engaged, the ECU will vary three engine operation paramters of acceleration, speed, and rpm (according to the throttle position), basically less aggressive profiles for the same throttle position compared to ECON-off. From Honda's testing, given the same driving style, as much as a 5% improvement in fuel economy can be obtained with ECON mode engaged which is a very good result indeed. In terms of specifications, this 4G City comes filled to the brim. As standard for all new Honda models, the design features Honda's famous 'Man Maximum, Machine Minimum' philosophy which minimizes machine intrusion into the large cabin space where the humans sits. Similarly, the '4M' philosphy emphasizes human safety to the extent that the machine, i.e. the car, is to be sacrificed in the event of a collision. The specific Honda technologies which applies this are Honda's GCON and ACE body design, both of which are of course applied to the 4G City. Safety features wise, the 4G City also comes full house, with ABS, EBD, BA, VSA, HSA, and ESS (Emergency stop signal). ESS is the simple feature where the hazard lights automatically blinks for a few seconds upon hard braking to stationary. The City also comes with dual front SRS (airbags for both driver and front passenger), i-Side airbags (the 'i' signifying auto detection of passenger), and also side curtain airbags. A potentially contentous point however is the deletion of disk brakes for the rear, replaced by drum brakes. The 'full house' applies to the cabin features department as well. The top variant comes with a large 7inch screen for the sound system, supposedly the largest in the City's market segment. The aircond control panel is now touch sensitive. 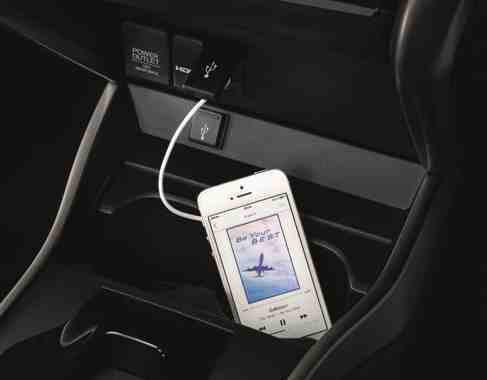 There are 3 power outlets so both front passengers can now charge their smartphones in the car while one more is still available for the GPS. Or, with a dual port charger, one can even power a 2nd 'toy' like a dash-cam as well. There are two USB sockets and an AUX socket. Then, to top everything off, the top Grade-V variant adds a HDMI (input) socket ! The stereo system spots between 4 to 8 speakers, unheard of in this market segment and it even has automatic volume adjustment based on speed as cars in this segment has higher than normal wind and road noise so at high speed, the volume is automatically increased. Remote trunk release is standard as is tilt and telescopic adjustment for the steering wheel, with one touch turn signal (a feature first offered in the original CBU Jazz Hybrid) where a simple flick of the turn signal in the relevant direction will cause the corresponding signal light to blink for a couple of seconds. Very useful for quick lane changes. Honda's obsession with cup holders continues in this 4G City which has a total of 8 cup holders including one in the center armrest of the rear seats for the 2 top variants. The 2 top variants also offers the engine start button. 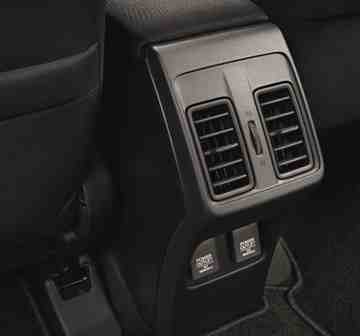 More significantly, the air-conditioning system now offers rear vents, again a feature seldom if ever found in cars in this segment. There is seatbelt reminder system (which annoys the driver or front passenger foolish enough to think of driving without seat-belts) and a 4 corner reverse sensor system. Most importantly to families with young babies is the availability of the industry standard ISO Fix for secure attachment of baby seats into the rear seats. Given this list of specifications and features, it is highly likely the 4G City has the most complete specifications and features in its market segment. 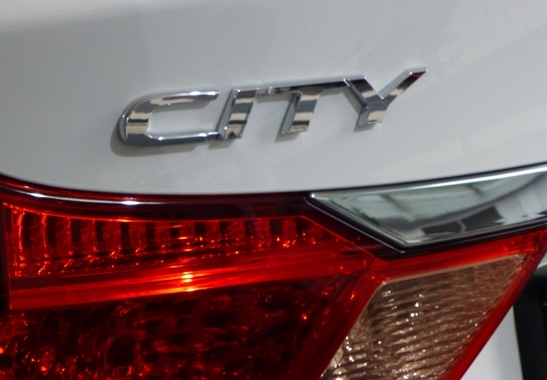 For the Honda enthusiast looking at this new 4th Gen City, it can be a confusing package. On the one hand, there seems to be little or no new technologies that have used to accompany every Honda model when it undergoes its FMC. The engine appears to be similar to before and even the gearbox was standard with the 2Gen City (though replaced with a standard 5AT one generation later). On the other hand, the car clearly comes with an astonishing level of features, including some which have before this only been found on much higher end cars. This confusion can best be understood by knowing Honda's strategy during this City's R&D. According to what I was told, Honda's own research with their customer base has supposedly told them that for Honda customers of today, technical specs are not that highly valued anymore. Rather feedback from Honda customers is supposedly that they look more at the car's value. This interpretation of 'value' can be best summarized by the simple phrase "more car for the money" - specifications and features. The fact is simply that all modern cars today abounds with technology and Honda's traditional technology trump cards like 'VTEC' for e.g. no longer holds the kind of leverage it used to. The things is every manufacturer today offers "variable valve timing" on their engines, even Malaysia's own two local manufacturers Proton and Perodua. The implementation details is lost to the common car buyers, nevermind that VTEC controls much more parameters of variable valve timing than something simpler like VVT-i or DVVT. To the man on the street, marketing campaigns by other manufacturers have convinced them that VVTi or DVVT is the same as VTEC, eventhough they are not. Similarly, while Honda reverted back to a regular automatic gearbox in the previous 3G City, other manufacturers have since been equipping their cars with a CVT gearbox. This leaves things at a more 'face value' level with car shopping nowadays virtually becoming like ticking off boxes on a form, the more ticks the better value the car represents. This is a very valid and correct viewpoint and this is how Honda has approached the design of this new 4G City, to fit it with as many specifications and features as they possibly can because they are what matters to their target market, the people who buy. Technologies like VTEC are simply givens and buyers expects them to be standard, but no more the differentiating factors they used to be. 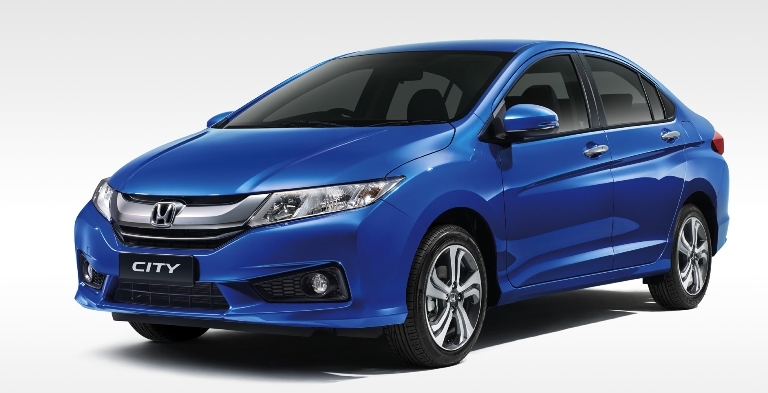 Honda Malaysia's sales target for this year is over 70,000, up over 40% on their total sales acheived last year. This is reflective on Honda's overall strategy for ASEAN as a whole. The City is Honda's best seller and most successful model by far in ASEAN. So naturally the City is expected to uphold and deliver the bulk of this sales numbers. This means designing it to appeal to as broad and wide a market segment as possible. And to go right to the point, Honda has acheived this admirably well - they have done an extremely fine job with this new 4G City because it offers an incredible value for money, certainly in my opinion, the 'most car' for the amount of money spent. Honda Malaysia's monthly sales target for this new 4G City is 2,500 units which means they expect to sell 25,000 City's this year (given that now is already March). Which, to put into perspective is more than one-third of this year's total sales target. With a good jumpstart provided by the 1,800 bookings they already gathered after the pre-launch last month, this definitely looks to be an achievable target. If you are looking at buying a sedan in this market segment, objectively this new 4G City most definitely is a 'must see'.